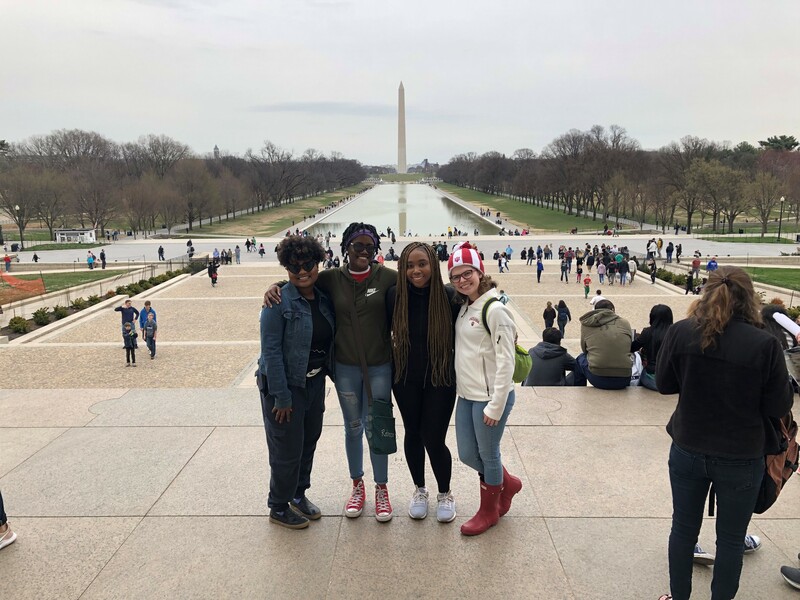 YWIL Girls Experience D.C. - Girls Inc.
Each year, the participants in Young Women in Leadership (YWIL) are given the opportunity to apply for a spot on our annual out of state trip. This year, we took four participants to Washington D.C. for three days of sightseeing and cultural immersion. The trip gave the girls a chance to explore a new city, learn more about our nation’s history, and bond with each other. We had an incredible time being immersed in our nation’s capital. We even walked nearly 20 miles during our three-days there to see everything we possibly could! We started the first day by flying into the D.C. area and traveling into the city via train. The girls were very impressed by the high-speed trains and public transportation systems! After arriving in the city, we spent the day sightseeing the monuments around the National Mall via a double-decker tour bus that allowed us to hop on and off at our convenience. We saw and visited the Washington Monument, Lincoln Memorial, and Dr. Martin Luther King Jr. Memorial. Later that evening we had casual dinner at a local restaurant in the Foggy Bottom neighborhood, near the campus of George Washington University. On the second day, we were up and out the door early. We rode the Metro (DC’s subway) to the U.S. Capitol Building to meet with staff from Congressman Andre Carson’s office for a private tour. It was a privilege to have a personal tour with knowledgeable staff. The tour led to great conversation with our girls about both the positive and negative aspects of our country’s history. We then spent the afternoon exploring the National Museum of African American History and Culture. The museum is in a beautifully designed building and is filled with inspiring and important exhibits. Later that evening, we all got dressed up and headed out to a nice dinner followed by seeing “Into the Woods” at Ford’s Theater, which was a favorite for the girls. 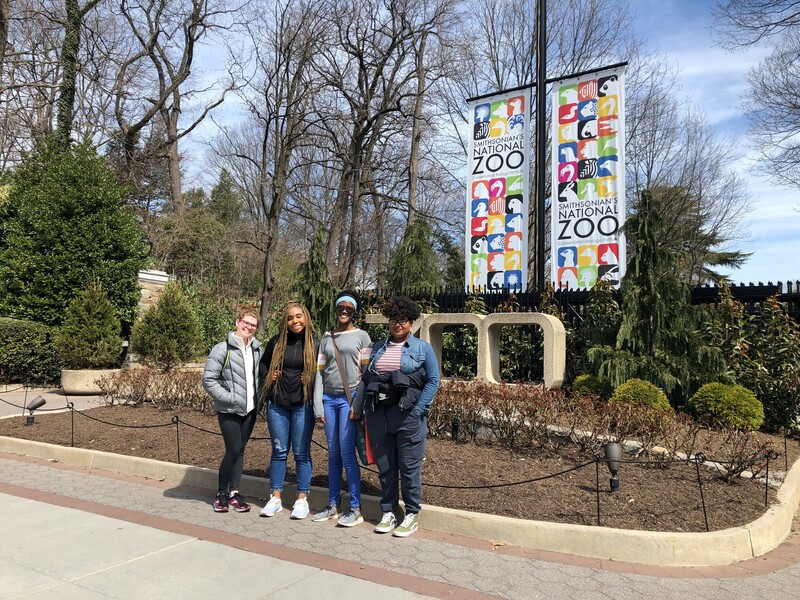 We started our final day in D.C. with a campus visit at Howard University, which gave the girls a chance to explore and learn about the campus and school. Afterwards, we traveled to The National Zoo. The girls loved walking the beautiful grounds and seeing the animals. We had the opportunity to watch one of the pandas be particularly active, which was a highlight for everyone. We wrapped up the day by heading back to the airport to journey home.